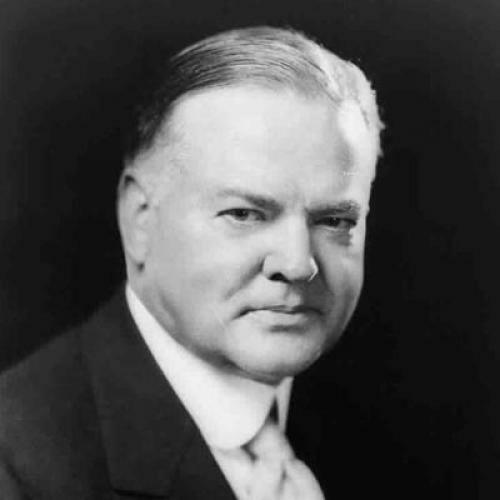 Herbert Hoover and the 1928 Indiana Primary. The Republican primaries in Indiana, to be held on May 8, in which Jim Watson, the world’s most complete bluff, is running against Herbert, the human bee, are interesting but not really as important in their bearing upon the Republican presidential selection as the excitement of the Washington correspondents would indicate. Of course, if Herbert should by any chance carry the state, his nomination would be so completely cinched that all fun would evaporate from the fight and the anti- Hoover alliance would literally crumble to pieces. Since Ohio and Massachusetts fell into Herbert’s bag, however, the anti-Hoover allies have cut a sorry figure, and few persons not obviously jaundiced now doubt that the success of the Hoover candidacy is assured. Capturing Indiana would put Herbert’s nomination under the head of finished business, but he does not need the state. After his clean-up in Ohio, I should not be surprised if Herbert won in Indiana, in spite of the odds against him, but whether he wins or loses, he ought to have credit for a certain gallantry in making the fight there. On form, a“favorite son” with a state machine ought to beat any outsider in a preference primary. The fact that Hoover went into both Ohio and Indiana broke the rules of the game; but it also broke up the pretty plan to get enough states in hand, either in the favorite-son or the uninstructed class, to keep a majority against him in the convention. Looking back, it seems clear the Hoover decision to go into Ohio was the turning point in his campaign. Had he kept out they could probably have “ganged” him at Kansas City. It is interesting, I think, to know that Herbert made that decision himself and overruled some of his Ohio advisers, who were disposed to counsel a fight only in a few districts. As for Indiana, one of his main handicaps there, I am told, is the unpopularity of ex-Governor Jim Goodrich, generally regarded as his Indiana manager. How Hoover and Goodrich ever became such friends is hard to understand. The gap between them is as wide as it can be. Of course, outside interest in the Indiana contest is largely stimulated by the political degradation of the state. In recent years it has become synonymous with corruption. The belief that the decent people of the state would welcome an opportunity to register resentment against the crowd that has shamed Indiana before the nation constituted the principal reason why the Hoover managers put their horse in the race there. In spite of the machine, and the odds on the favorite son, they believed the chance was too good to throw away. As things stand, should Jim Watson (whose gall in proposing himself for the presidency causes one to regard him with a sort of awed admiration) make good his boast and beat Herbert by a hundred thousand, all it will mean will be that the most unsavory and discredited political machine in the country has shown its continuing power. On the contrary, should Herbert win in Indiana—or even poll a big vote against the Watson faction—it would simply stall the whole engine of the anti-Hoover machine. The most interesting incident of the Indiana fight, to me, occurred in Washington just before Jim went out to make his final swing around the state. According to the story, as authoritatively reported, he called on the Secretary of the Treasury for the purpose of voicing his indignation over the announced purpose of Mr. Ogden Mills, Mr. Mellon’s literary aide, adviser, assistant and friend, to enter Indiana on a speech-making tour for Herbert. It is reported that, aghast and bewildered by the throbbing, thumping, disheveled presence of the aggrieved Jim, Mr. Mellon quaveringly replied that he tried to be. The old gentleman timorously volunteered that different people looked at these things differently. That led Jim to another and longer oration, in which he denounced Herbert and Ogden with vehemence and beat his breast. Filling the air with threats, he then departed, breathing heavily through the nose and leaving the sainted Andrew in a sad state of bewilderment and exhaustion. It is interesting to note that Mr. Mellon did not, following his recovery, attempt to measure up to the Watson idea of a square shooter by calling off the eloquent and earnest Mr. Mills, who, it may as well be understood, early took particular pains to inform himself of his exalted chief’s willingness, before he began to gallop around the country, making speeches and statements in Herbert's interest. Caesar, and which was made in his letter to dear old Papa Stearns’ son-in-law just before the Massachusetts primaries. The interesting part of that fourth renunciation, which unquestionably helped Herbert quite a lot, was the way in which it came about. I am credibly informed that Dr. Work, manager emeritus for Herbert, went over to the White House and frankly told C. Coolidge that unless he did something to stop the little game of William Morgan Butler and Son-in-law Prescott to have the voters in Massachusetts write in his name on the ballot, it would be very bad indeed. The fact that C. Coolidge did do something, and did it right away, seems to me the most striking and convincing proof of his support of the Herbert candidacy. I do not see how he could give any better. And it was certainly effective. This article originally ran in the May 9, 1928 issue of the magazine.